Former Super Eagles striker Yakubu Aiyegbeni, has retired from football at the age of 35. 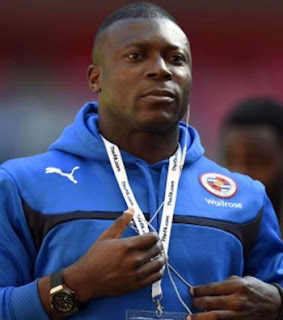 Yakubu scored 114 times in 293 league appearances, mostly in the top flight in almost a decade in English football, between January 2003 and June 2012. He averaged nearly a goal every other game at Portsmouth, Middlesbrough, Everton, Leicester and Blackburn before joining Chinese club Guangzhou. He returned to England for short spells at Reading in 2015, then Coventry City. Having left Turkish side Kayserispor in 2016, Yakubu was training with National League side Boreham Wood early last season before being offered a contract at Coventry in February until the end of the season by then Sky Blues boss Russell Slade. NAN reports that after three substitute appearances under Slade, he did not figure when Mark Robins returned to the club as manager and was released in April. As well as his 21 goals in 57 games for his country, the ever popular Yakubu scored 95 Premier League goals, more than any other Nigerian and just nine fewer than Didier Drogba, the top African scorer in the 25 years since the revamping of the English top flight. At 35yrs he should be active soccer star, this our soccer star cheat on their age, ultimately you can’t cheat nature. Go home to enjoy your money.